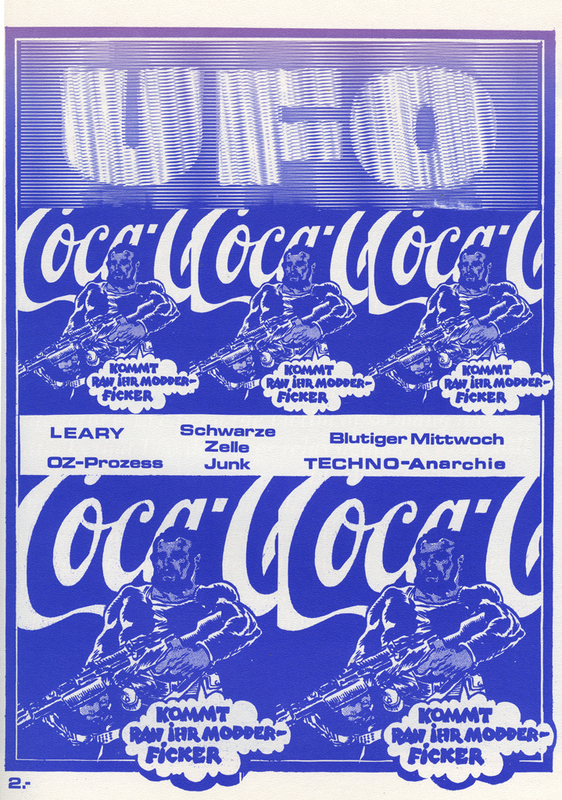 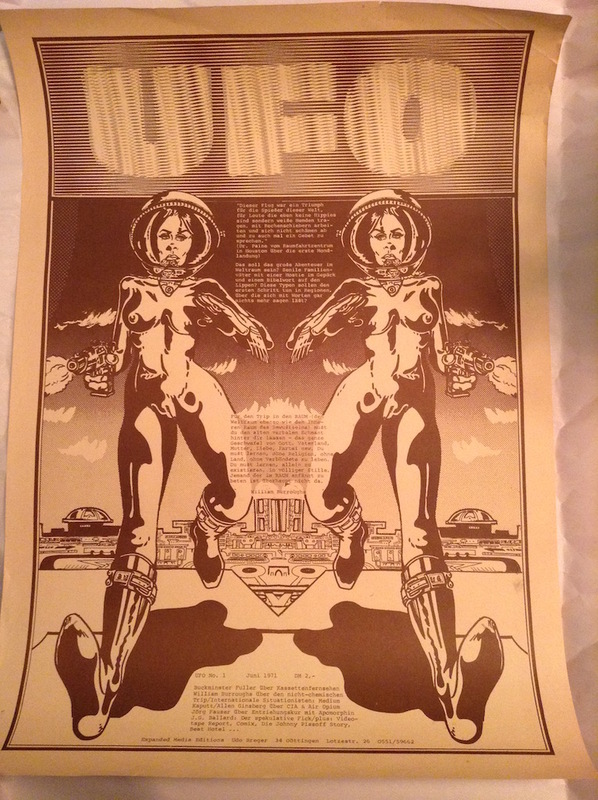 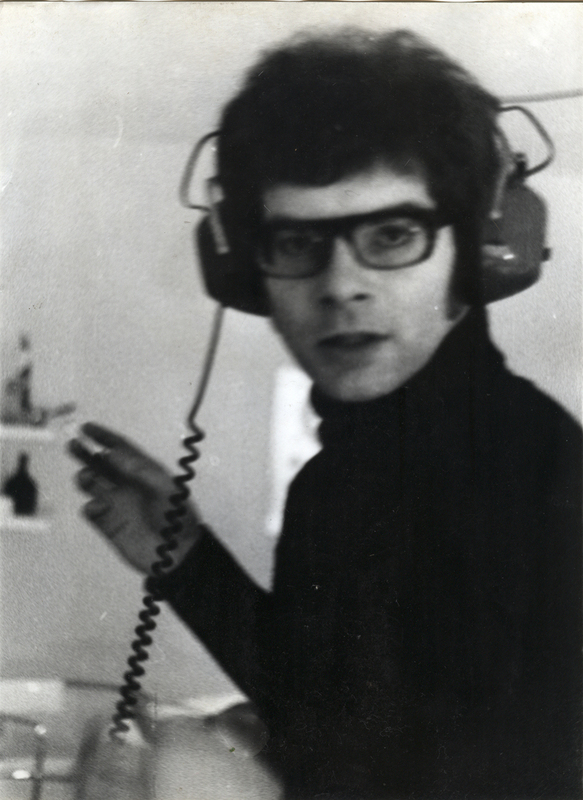 UFO was a little mag put out by Udo Breger and Expanded Media Editions. 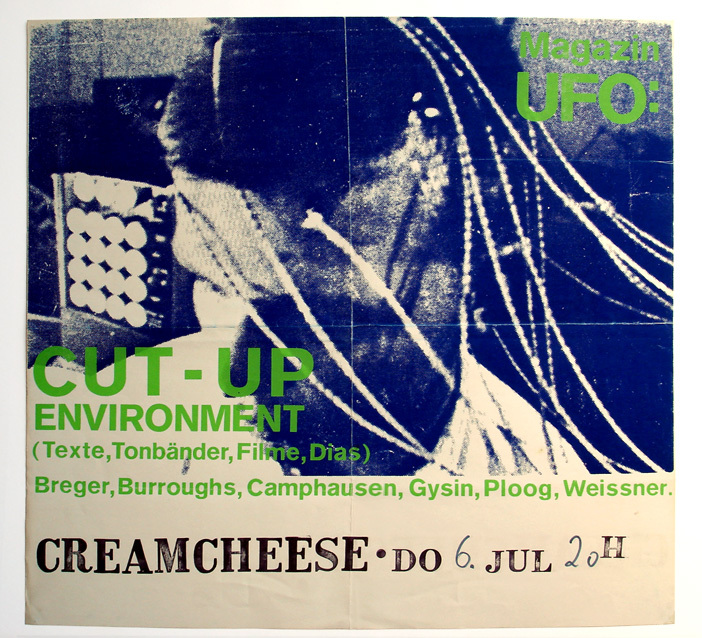 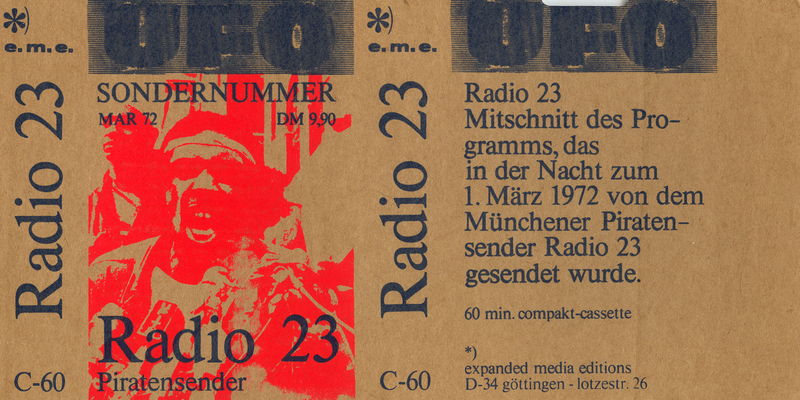 Edited by Breger, Carl Weissner, Jürgen Ploog, and Jörg Fauser, it published their work alongside other writers such as William Burroughs, Allen Ginsberg, Claude Pélieu, Mary Beach, Timothy Leary, et al. Announcement for a cut-up event sponsored by UFO Magazine.